"Lives of the Most Eminent Painters, Sculptors, and Architects"
Italian painter, architect, and writer who is best known for his important biographies of Italian Renaissance artists. When still a child, Vasari was the pupil of Guglielmo de Marcillat, but hisdecisive training was in Florence, where he enjoyed the friendship and patronage of the Medici family, trained within the circle of Andrea del Sarto, and became a lifelong admirer of Michelangelo. As an artist Vasari was both studious and prolific. His painting is best represented by the fresco cycles in the Palazzo Vecchio in Florence and by the so-called 100-days fresco, which depicts scenes from the life of Pope Paul III, in the Cancelleria in Rome. Vasari's paintings, often produced with the help of a team of assistants, are in the style of the Tuscan Mannerists and have often been criticized as being facile, superficial, and lacking a sense of colour. Contemporary scholars regard Vasari more highly as an architect than as a painter. His best-known buildings are the Uffizi in Florence, begun in 1560 for Cosimo I de' Medici, and the church, monastery, and palace created for the Cavalieri di San Stefano in Pisa. These designs show the influence of Michelangelo and are outstanding examples of the Tuscan Mannerist style of architecture. Vasari's fame rests on his massive book Le Vite de' piu eccellenti architetti, pittori, et scultori italiani… (1550, 2nd ed., 1568; Lives of the Most Eminent Painters, Sculptors, and Architects , 1850–52, trans. of the 2nd ed. 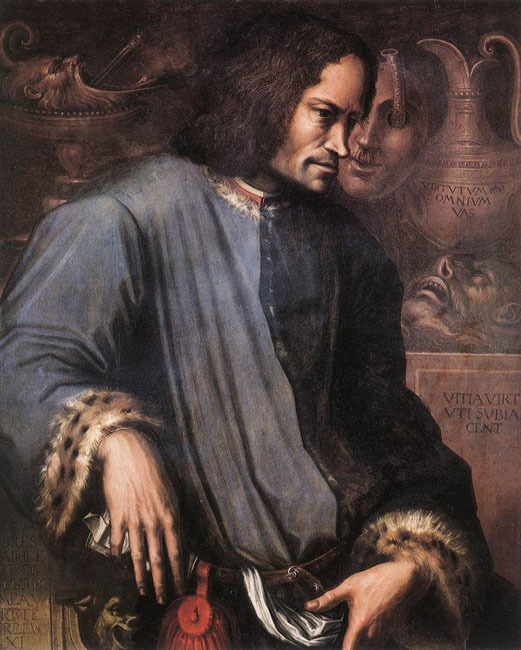 ), which was dedicated to Cosimo de' Medici. In it Vasari offers his own critical history of Western art through several prefaces and alengthy series of artist biographies. These discussions present three periods of artistic development: according to Vasari, the excellence of the art of classical antiquity was followed by a decline of quality during the Dark Ages, which was in turn reversed by a renaissance of the arts in Tuscany in the 14th century, initiated by Cimabue and Giotto and culminating in the works of Michelangelo. A second and much-enlarged edition of Lives, which added the biographies of a number of artists then living, as well as Vasari's own autobiography, is now much better known than the first edition and has been widely translated. Vasari's writing style in the Lives is anecdotal and eminently readable. When facts were scarce, however, he did not hesitate to fill in the gaps with information of questionable veracity. His bias toward Italian (and more specifically Tuscan) art is also undeniable. 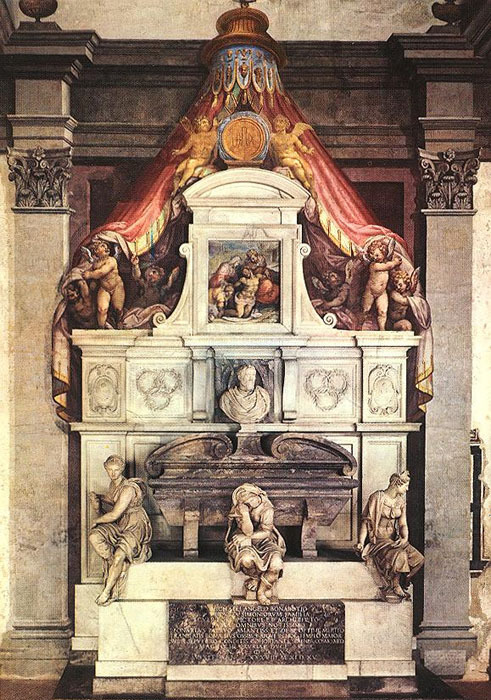 Despite these flaws, Vasari's work in Lives represents the first grandiose example of modern historiography and has proven to be hugely influential. 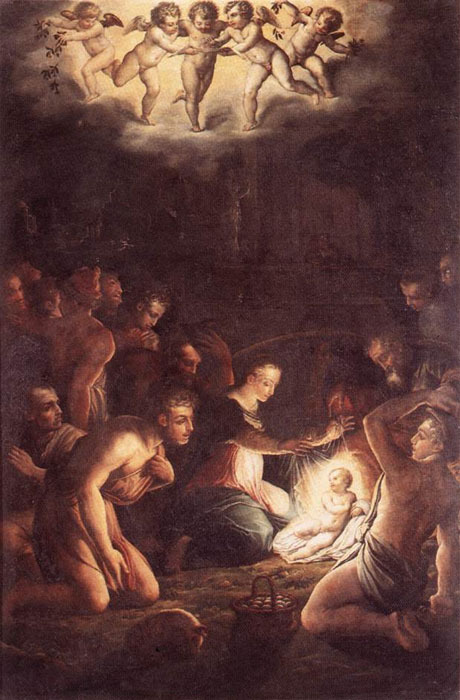 The canon of Italian Renaissance artists he established in the book endures as the standard to this day. Moreover, the trajectory of art history he presented has formed the conceptual basis for Renaissance scholarship and continues to influence popular perceptions of the history of Western painting.